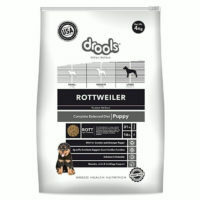 All pet food products sold come with recent manufacture date ensuring they are fresh and up to the mark. 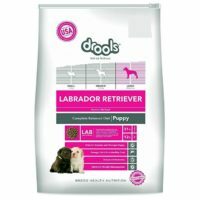 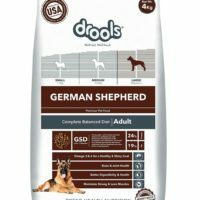 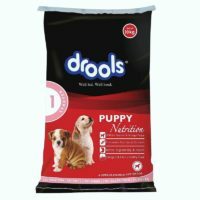 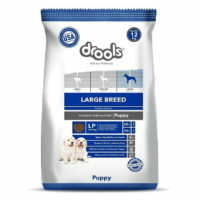 Description:The puppy range from Drools is a super premium dog food made of 100% natural ingredients.This food is suitable for all breed puppies from 3 months up to 2 years old.This food has real chicken as the dominant ingredient and contains no artificial colours or flavors and no wheat,corn or soya. 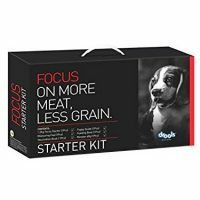 It’s primary focus is on more meat and less grains. 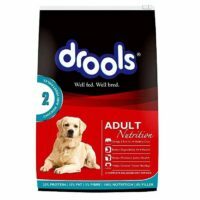 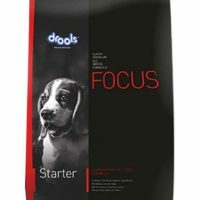 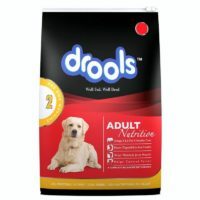 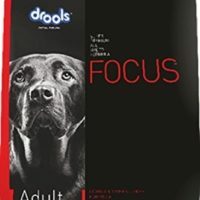 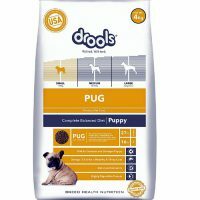 Drools focus starter is ideal for puppies from 3-24 months old of any breed. 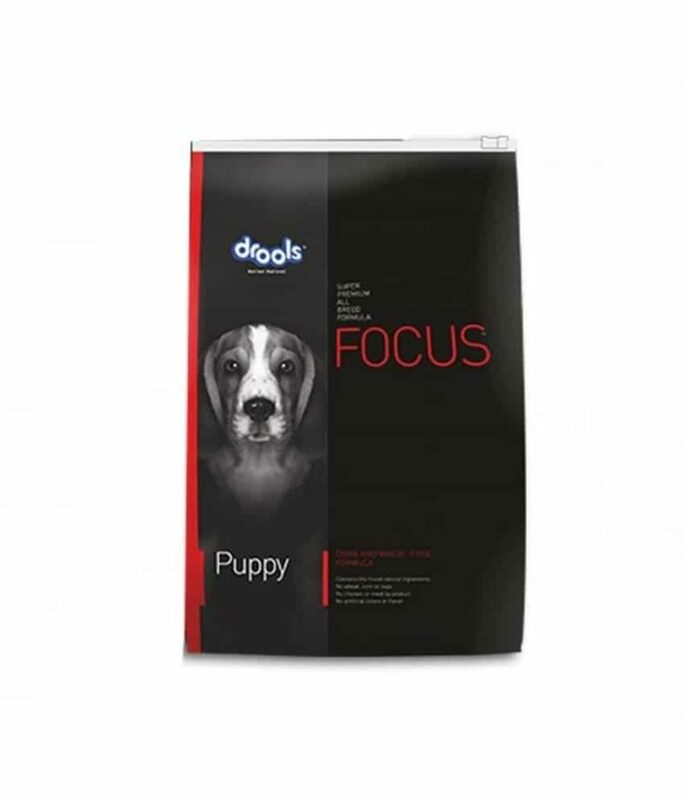 3)Drools focus puppy helps in strengthening the natural immunity of the puppy. 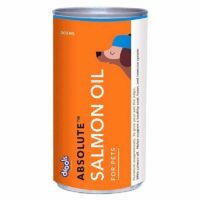 4)This food is rich in omega 3 and omega 6 resulting in gleasy,thick coat. 5)This food is rich in nutrients and protein resulting in ideal growth of the puppy. 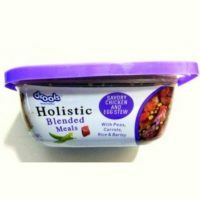 Real Chicken(>40%), Whole Dried Eggs, Long Grain Rice, Oatmeal, Flax Seed Oil, Sunflower Oil, Fish Oil, lecithin, salt, Beet Pulp. 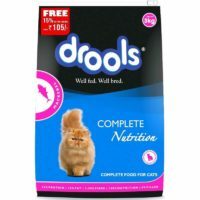 Vitamins:- Vit A: 22000 IU, Vit D3: 1500 IU, Vit E: 250 Mg, Vit C: 150 Mg, B1: 8 Mg, B2: 22 Mg, B6: 11 Mg, Choline: 2500 mg, folic acid- 2 Mg,Beta-carotene-50mg and Others: Natural Antioxidants (Rosemary Extract),L Cranitine, Probiotics and Prebiotics,Essential Amino Acid,Organic minerals.